I hope you are ready to play this week! 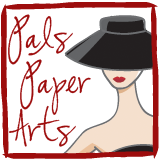 Tomorrow morning, Pals Paper Arts Challenge will reveal what the challenge is for this week. You have until Monday to create your project using the challenge guidelines, and then post your project using a direct link to your project. If you follow these guidelines you could be "picked" as one of our Top 3 and you can earn a badge for your blog! Good luck! I'd love to know you played along, so please leave a comment if you do. That way I won't miss your creation. It's fun, so play along, won't you? In the mean time, if you need any Stampin' Up! 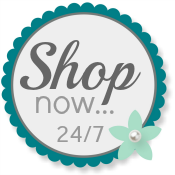 supplies, I'd love you to use my Website to order any time! Looks gorgeous,Patti! Can't wait until tomorrow!